The newest edition of Vauxhall’s enduringly popular family car is up to 200kg lighter than the outgoing model, with its athletic looks and floating roof emphasising its premium design and character, whilst offering greater interior space, comfort and refinement. The Astra’s broad-based appeal is further strengthened by its abundance of ground-breaking technology, as well as a five-star safety rating from Euro NCAP. Responsive 1.0, 1.4 and 1.6 litre Turbo petrol engines, along with vigorous yet frugal 1.6 litre Turbo diesel units with a range of power outputs, ensure that the Astra is delightful to drive. The Astra Sports Tourer has similar exterior dimensions to the outgoing model but due to clever packaging offers more interior space for passengers and increased luggage space for their belongings. 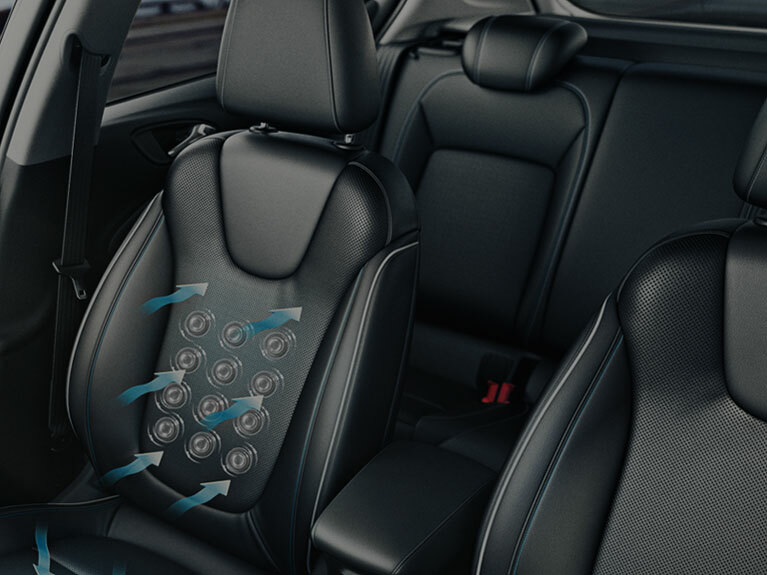 The array of useful technology available in both body styles, including Vauxhall’s OnStar emergency personal assistance with 4G WiFi and IntelliLink infotainment system, increases convenience and security. At the same time a capable range of petrol and diesel engines offer power outputs from 100PS to 200PS. Furthermore, Co2 emissions from as low as 89g/km make the Astra Sports Tourer a particularly appealing choice to business users. Little wonder that the Astra was voted European Car of the Year for 2016. The new Astra hatch’s total length, as well as its wheelbase, is shorter than the sixth-generation version, resulting in crisper steering and more dynamic handling. At the same time, the designers have achieved the astonishing feat of increasing interior space for passengers. The redesigned seats now offer occupants in the rear 35mm more legroom, whilst drivers will enjoy increased headroom. A number of highly inventive new features will give drivers of the new Astra safer and more relaxing journeys than ever before. The optional IntelliLux LED Matrix headlights, for example, work with the front camera system so you can drive on high beam without dazzling other road users. 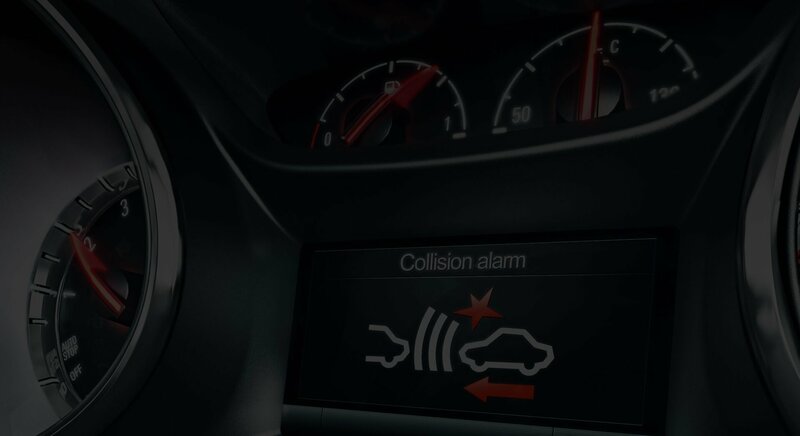 The Driver Assistance Pack, standard in the SRi specification, uses a front camera system to recognise traffic signs, alert the driver to a potential collision, sound a warning if you start to drift out of your lane on the motorway and even provides a steering wheel push back. Optional Keyless Entry & Start and the hands-free Advanced Park Assist functions, meanwhile, make the locking, unlocking and parking of the new Astra an effortless and automatic process. The painstaking work of Vauxhall engineers has reduced weight by up to 200kg (depending on the model chosen), resulting in improvements to both performance and efficiency. This lighter frame adds to the exceptionally low fuel consumption and carbon emissions of its engine range. The 1.6 litre CDTi S/S ecoFLEX “Whisper Diesel” unit is particularly impressive with regard to efficiency. It returns combined fuel economy of up to 85.6mpg and CO2 output of only 88g/km, making it a great choice for drivers who regularly travel long distances; as its name suggests, it is also notably quiet and refined. The choice of petrol engines available, meanwhile, offer eager performance and a swift throttle response - especially the 1.0 litre 105PS and 1.4 litre 150PS turbocharged units. A finely calibrated five- or six-speed manual or automatic transmission ensures that acceleration is always smooth and rapid. The New Astra is available from £15,295, the below are our two feature models. OnStar our people friendly personal connectivity and service assistant is standard on SRi and Elite models of the new Astra and optional on all other trim levels. This one of a kind system gives you in-car access to a host of innovations at the touch of a button and you are connected to a qualified advisor – not a machine. OnStar provides mechanical and emergency assistance in case the worst is to happen, it even transforms your car into a Wi-Fi hotspot making long journeys with children a little more bearable. Contact us today to find out more about the brand-new Astra. Vauxhall and Westcars of Tiverton are not responsible for the provision of the OnStar and Wi-Fi services, which are provided by OnStar Europe Limited, a GM Company. All OnStar services and Wi-Fi services will cease to be available on December 31st, 2020. No trial or paid subscriptions or services, including emergency response services, will be available after that date.